BitCloak Bitcoin mixer - truly anonymize your Bitcoins! Home / Tech News / Cryptocurrency / BitCloak Bitcoin mixer – truly anonymize your Bitcoins! 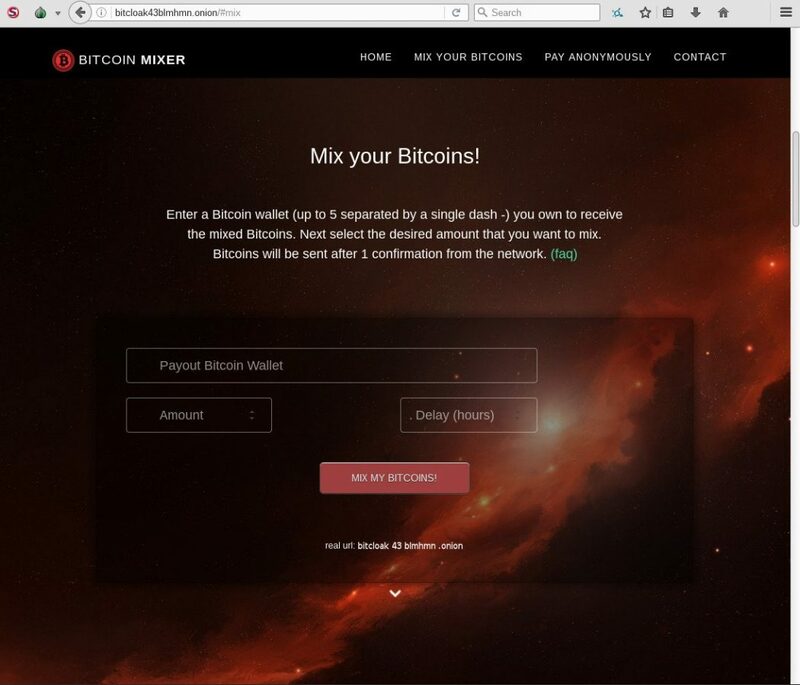 BitCloak Bitcoin mixer – truly anonymize your Bitcoins! There are two mixing options available, you can send and receive clean bitcoins with optional features such as multi wallet payout (up to 5) and a time delay. The second option is to Pay Anonymously, you choose the amount you need to pay to a service or someone, then send the exact amount shown and the mixer will make the Bi tcoin payment for you anonymously. This obviously works both if you need to pay someone or if you need to get paid. You must use BitCloaks official signing key (http://bitcloak43blmhmn.onion/stuff/gpg/pubkey.asc) which will sign announcements and any communication. You can also use that key and the “Get PGP proof” button on the order screen to verify that every Bitcoin wallet shown to you is really owned by the mixer and it is safe to send your Bitcoins to it. This is to prevent spoofing, wallet replacing, phishing, mistakes, and to give you an additional layer of security. Since the the site launch (March 2016) the service has successfully cleaned Bitcoins more than 820 times without a single mishap, there are no negative reviews about the service thus far. The owner also states he wipes the server and re-deploys a fresh copy periodically to keep the privacy.